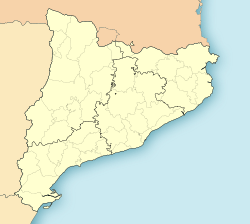 Santa Cristina d'Aro (Catalan pronunciation: [ˈsantə kɾisˈtinə ˈðaɾu]) is a smaw toun in the Aro valley at the junction o the road frae Girona/Barcelona tae Sant Feliu de Guíxols an Palamós. It is hame tae a nummer o wirkers in the nearbi holiday resorts. The Costa Brava gowf course is on the ootskirts o the toun. The municipality includes the medieval muntain tap veelage o Romanyà de la Selva.